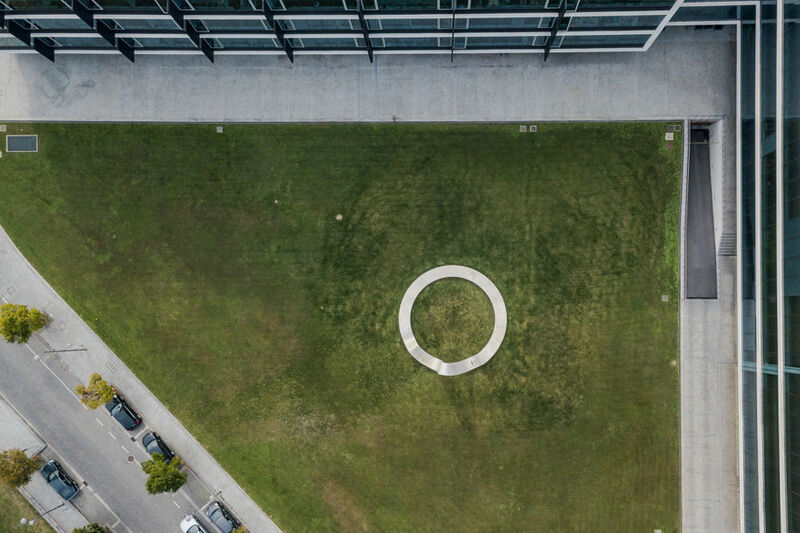 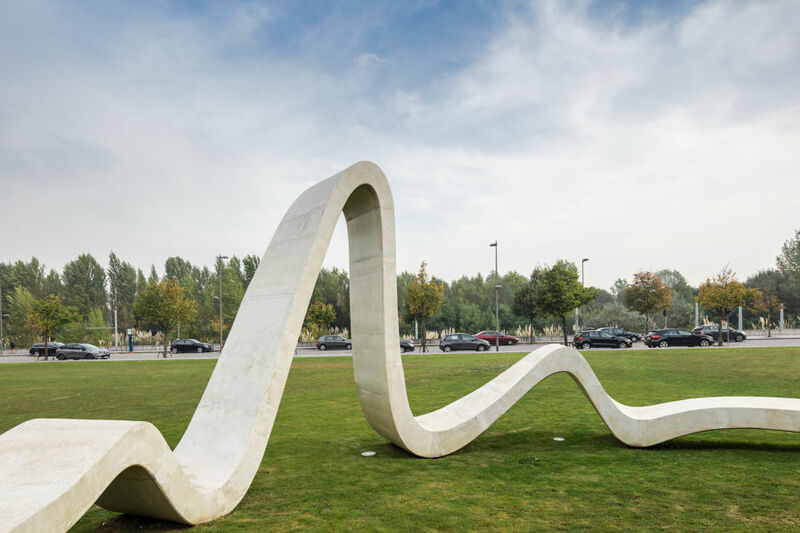 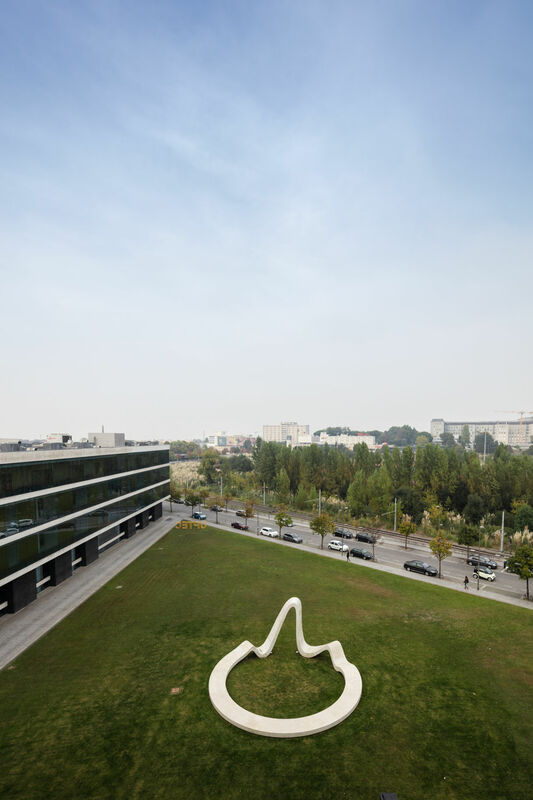 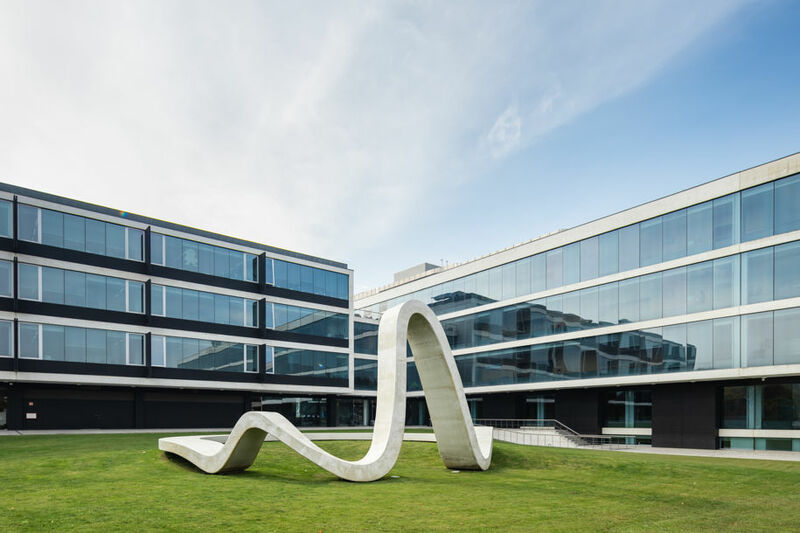 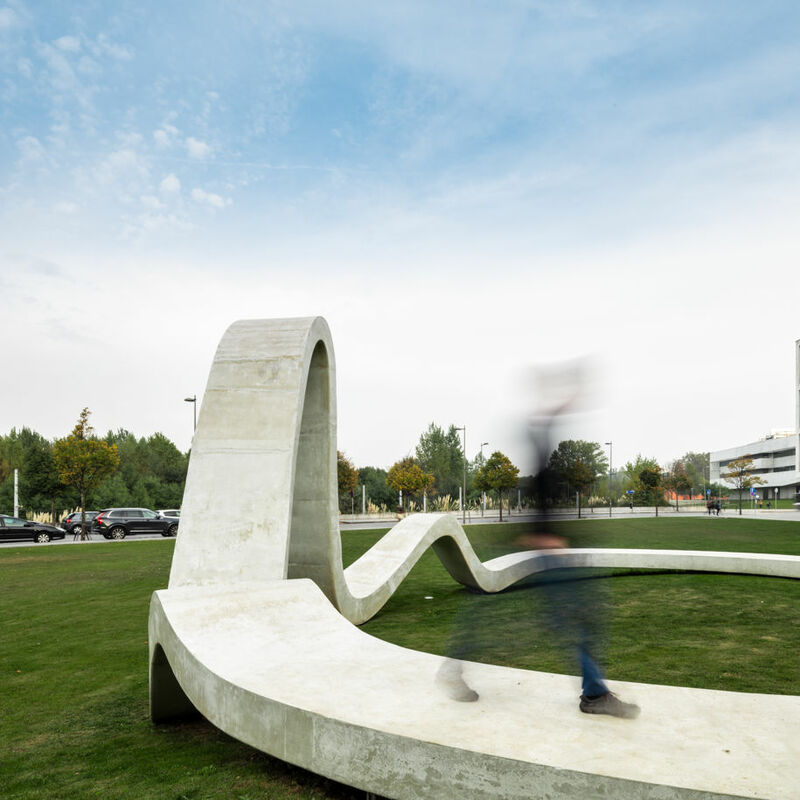 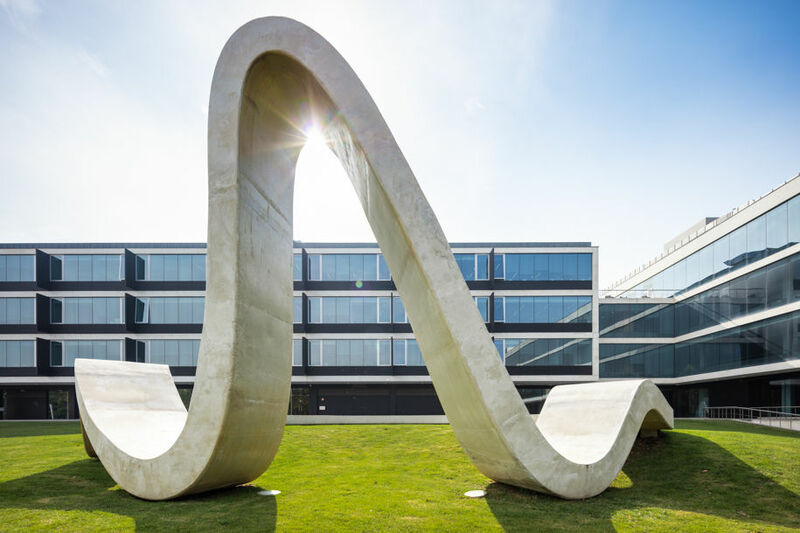 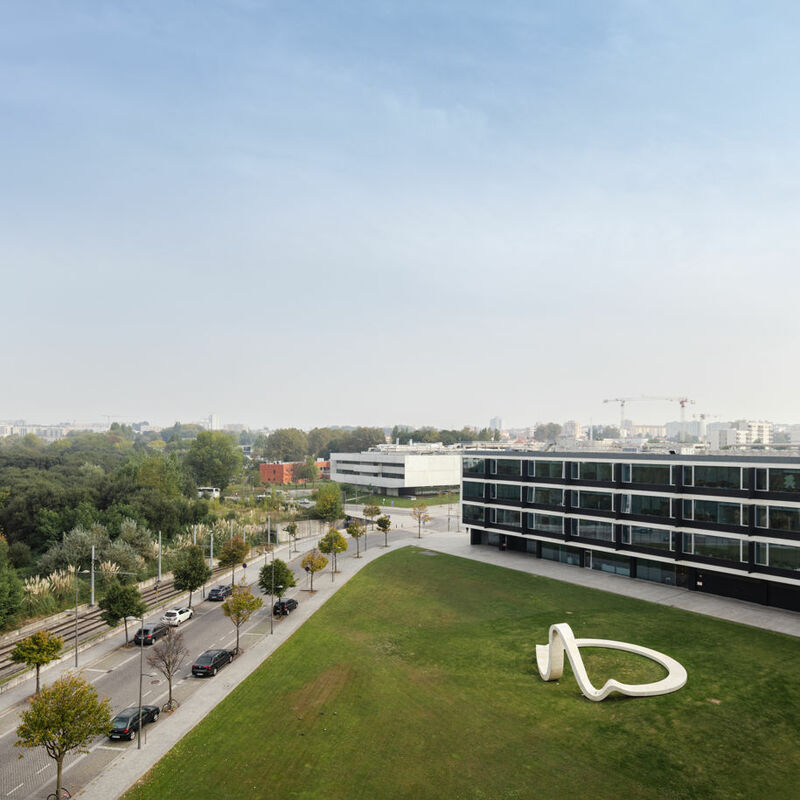 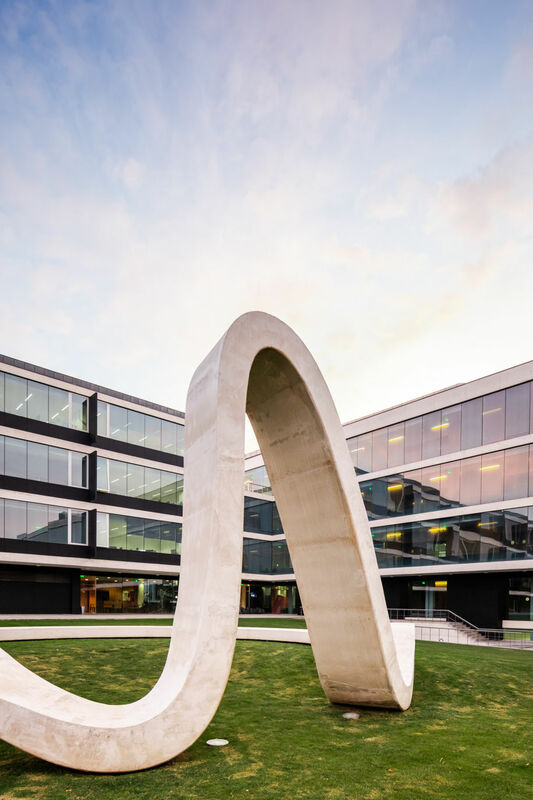 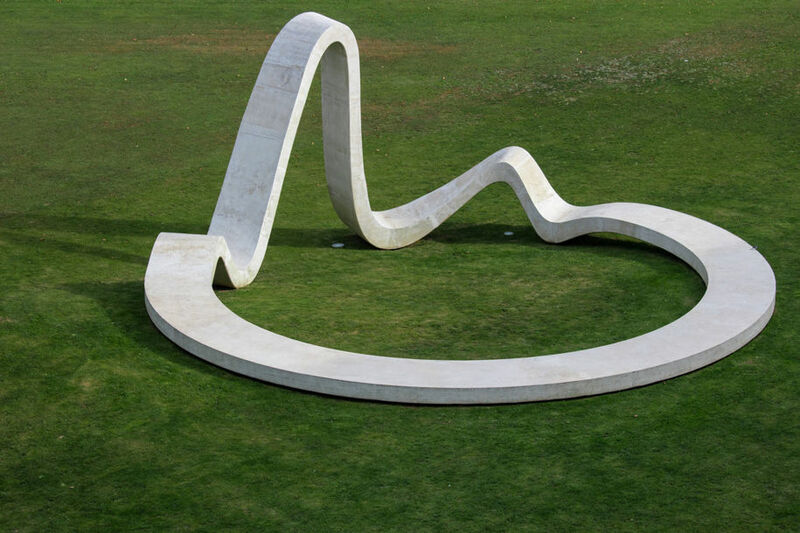 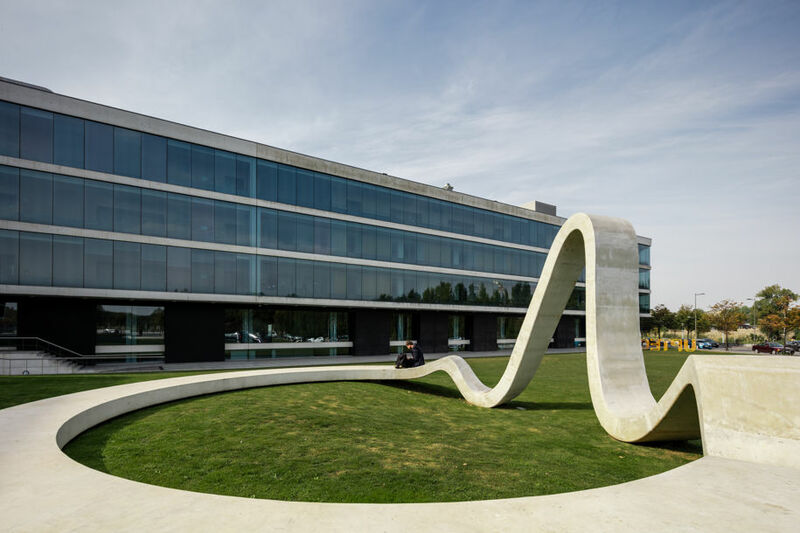 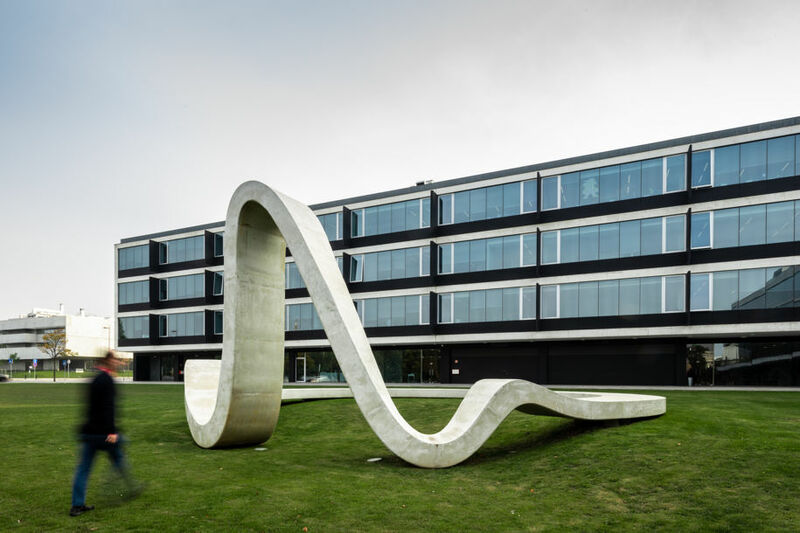 For the celebration of the 10th anniversary of the creation of the Science and Technology Park of the University of Porto, (UPTEC), FAHR 021.3 was challenged to develop a structure for the garden in front of the central building that symbolized this mark in time and made it last in the future as a symbol of the park. 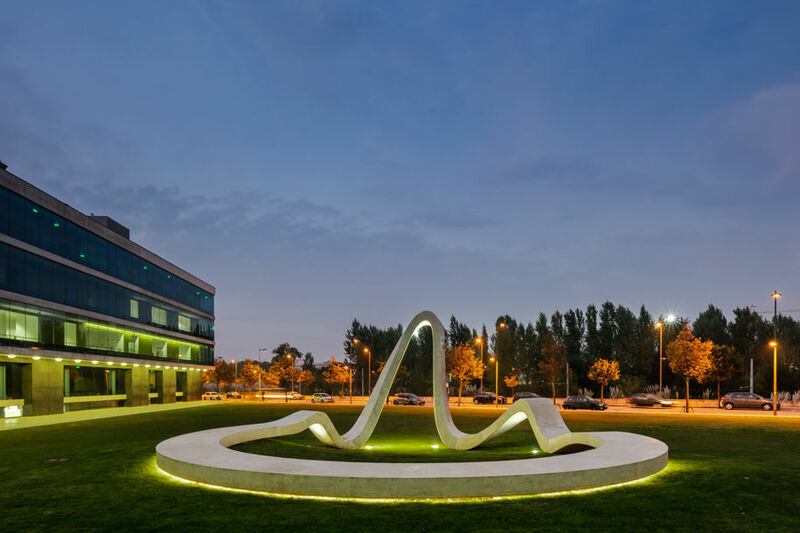 The architects started by looking for a silhouette capable of being a center in Asprela, mainly characterized for being a pole of great concentration of health and educational facilities, that generates a daily flow of people without many reasons for permanence by the absence of points of interest in the public space. 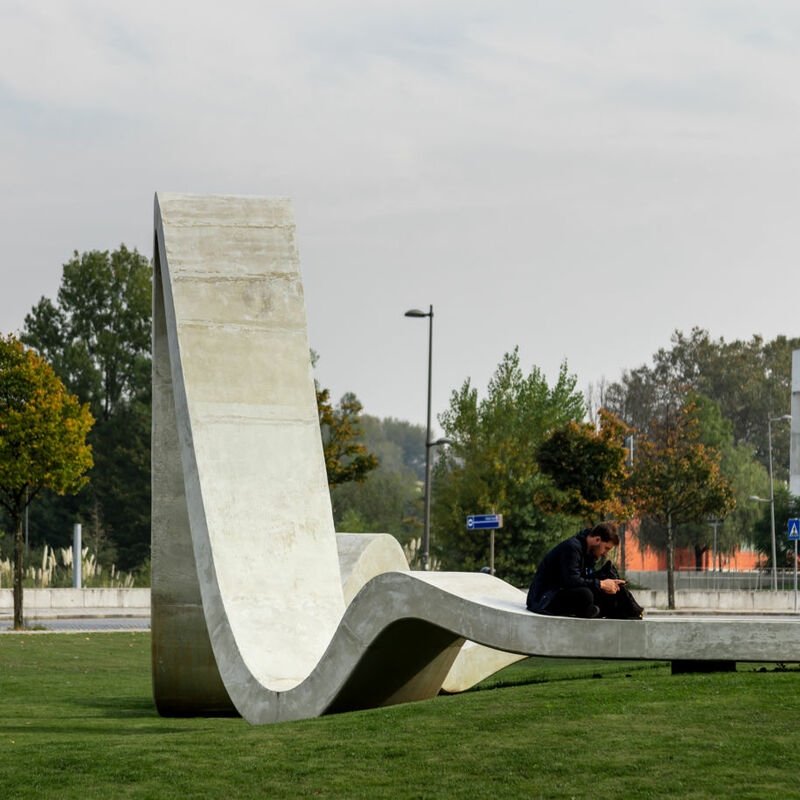 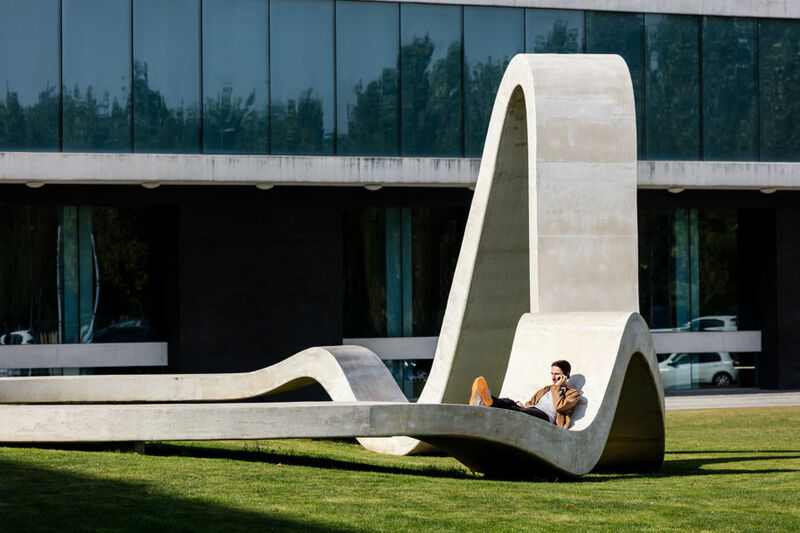 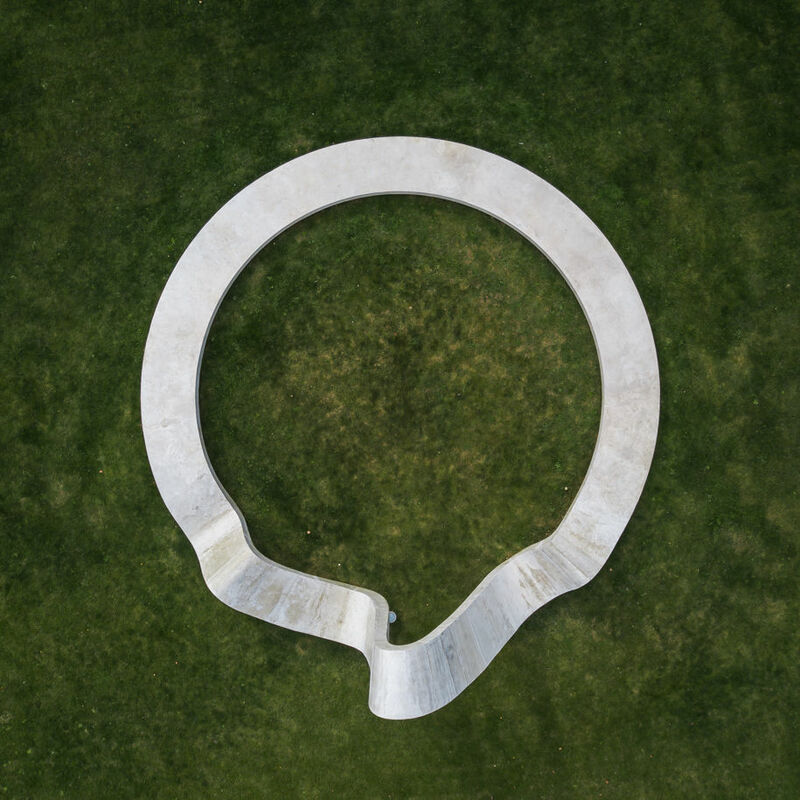 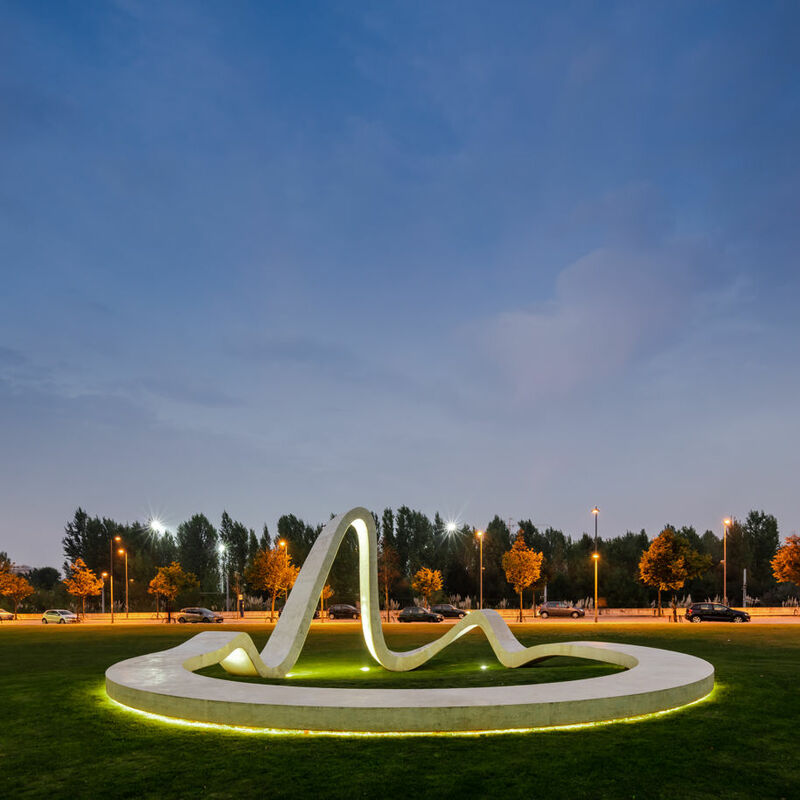 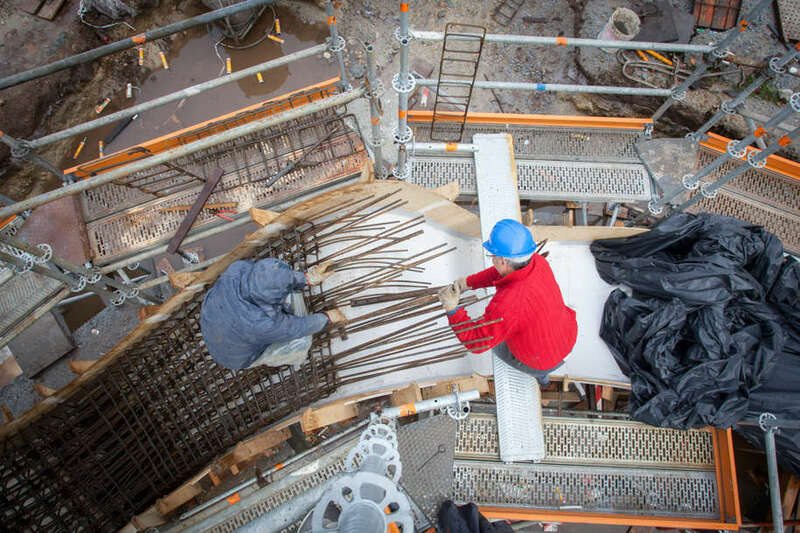 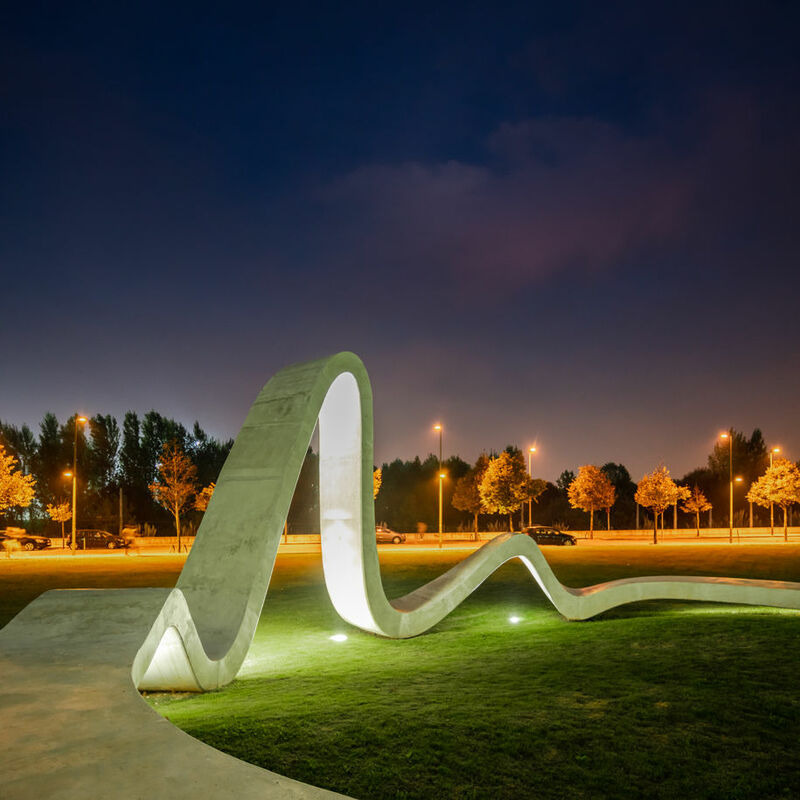 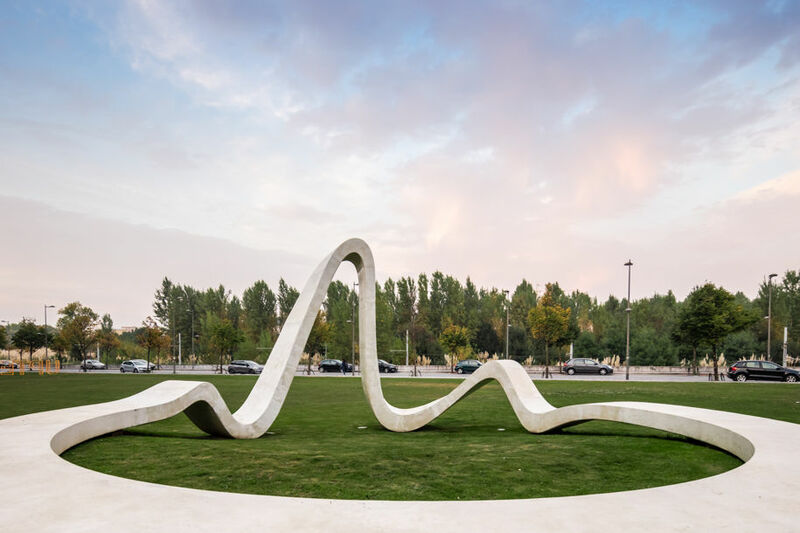 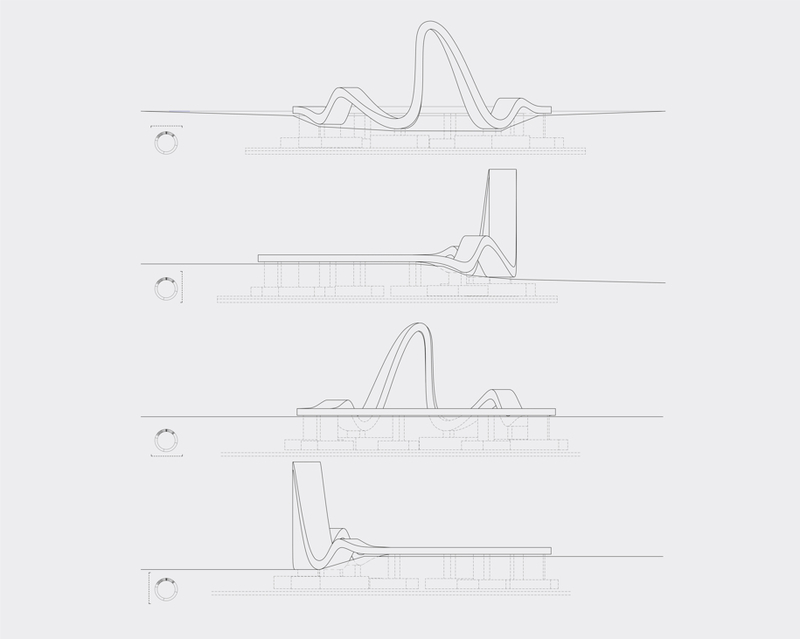 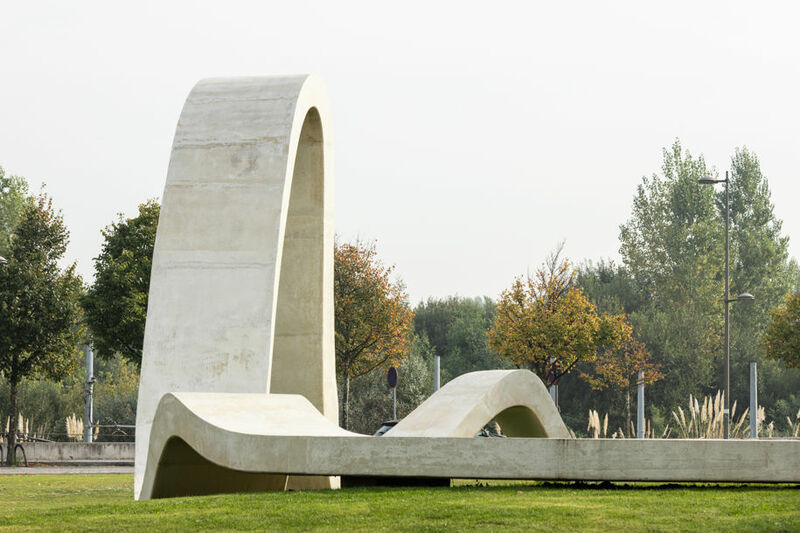 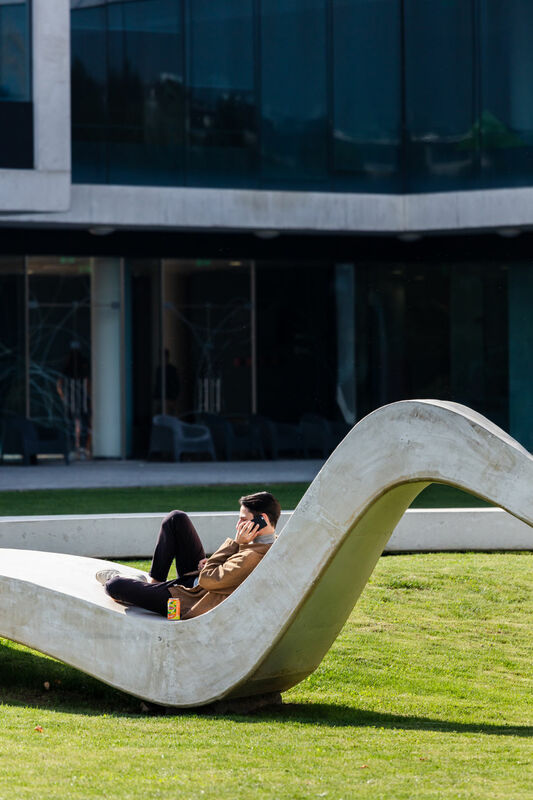 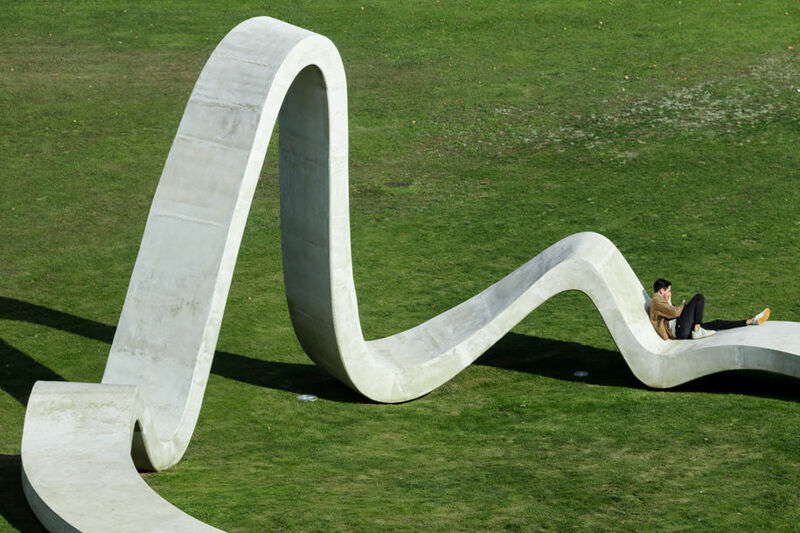 “In the combination of a concrete circle bench with an organic texture, LOOP assumes the idea that repetition is never equal, the same round will never be the same. 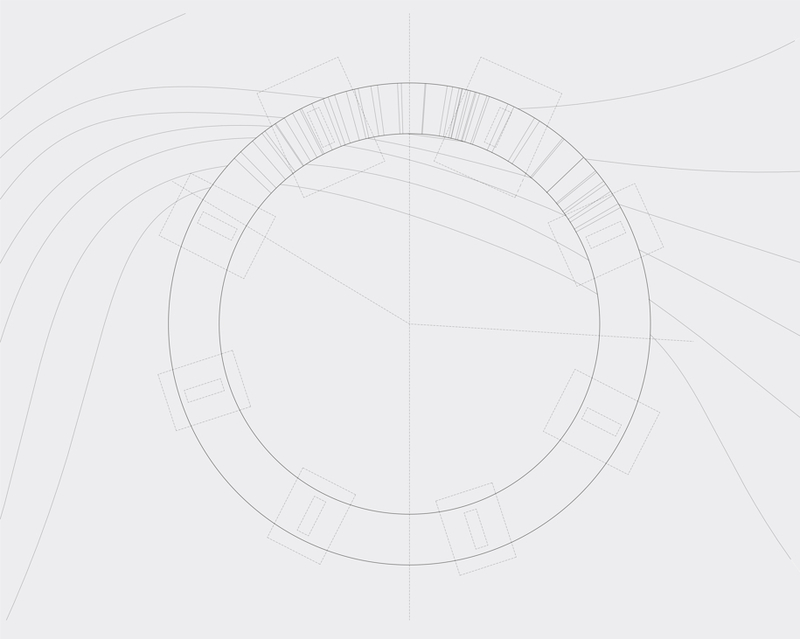 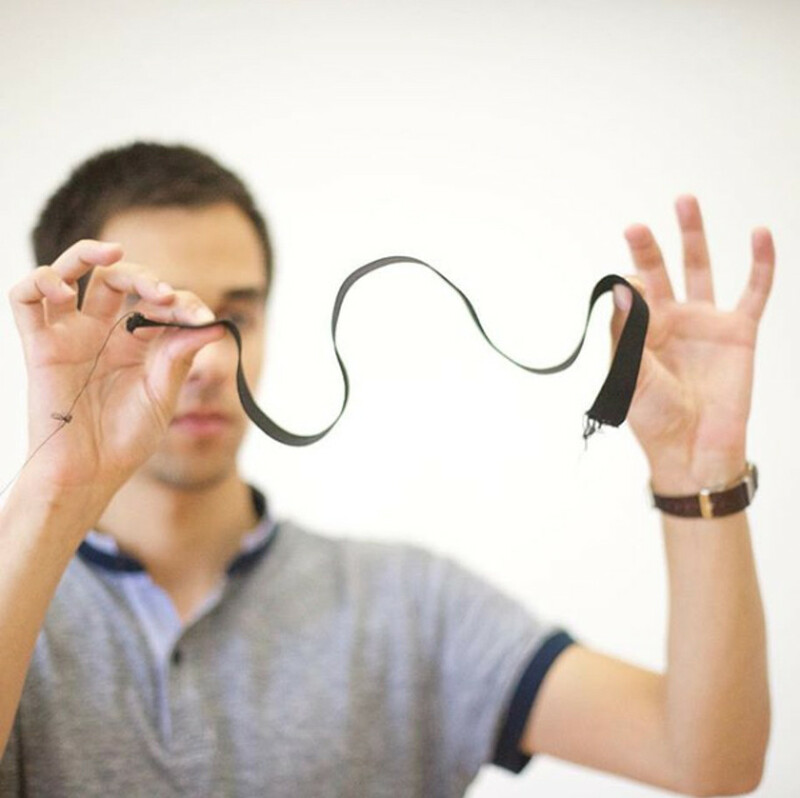 With each circle that closes new textures are generated, bringing their own identity. 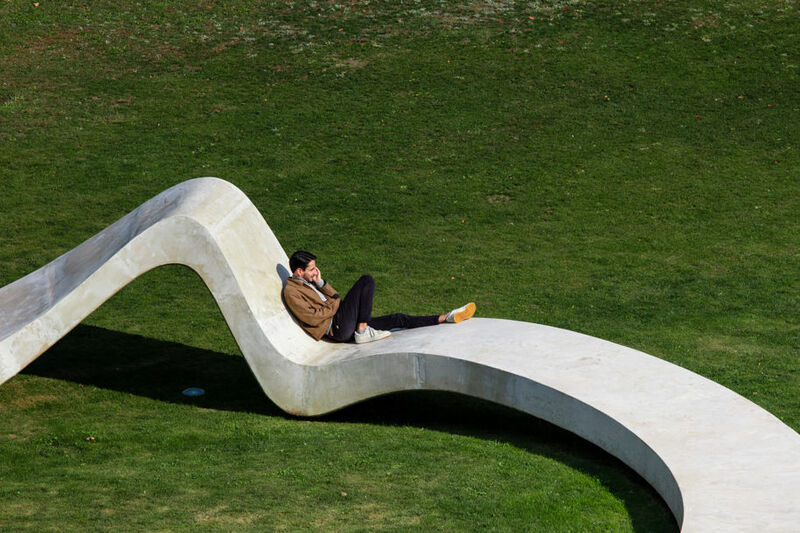 The meeting in the garden allows the conversation, democratizes the themes, leaving without limits the participation of those who pass by”, quote the architects.